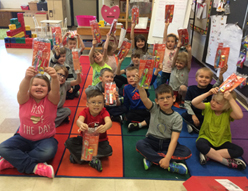 If you're a CDHA member who will be carrying out community outreach in schools this spring during Oral Health Month (April) or National Dental Hygienists Week™ (April 6-12), request a FREE Colgate Bright Smiles, Bright Futures® oral health kit in English and/or French. * The multimedia kit contains take-home materials, including toothbrushes and toothpaste. Please allow up to 4 weeks for delivery. 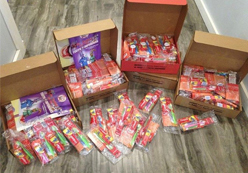 For questions about order status, please email colgatebsbfcanada@carrotnewyork.com. For all other questions, please email Matilde Hernandez at Colgate. 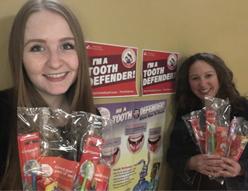 Follow the steps below to share your community outreach activities and make sure to incorporate the “I’m a Tooth Defender” poster in all the photos of your interactions with the kids. For privacy reasons, if you’re unable to feature kids in the photos, you can always grab a selfie inside or outside the school with the poster. 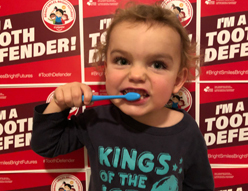 Use hashtags #BrightSmilesBrightFutures and #ToothDefender, tag @thecdha and post on Twitter, Facebook, or Instagram. Be sure your posts are set to public. *Offer available while quantities last. **Don't forget you need permission from those in the photo in order to participate. It is recommended that you retain a signed photo release form and here’s a sample form as a reference. PHOTO REPRODUCTION: By participating in this promotion, CDHA and Colgate reserve the right to use any submitted photo in any publication or media for future educational and promotional activities/materials, without further notification or any compensation to you. For example, the selected images could assist in the promotion of future events and may be used in professional displays, advertisements, printed publications, and/or on websites. You also acknowledge and agree to waive any right to inspect or approve any future educational and promotional activities/materials that may include your photographs.